App Relationships can be used to improve data organization. For example, let’s say you have a Projects and Tasks App in your workspace. By connecting the Projects and Tasks Apps together, you will be able to link (connect) certain tasks to specific projects. To create a new Relationship, you need to add an App Relationship Field from one of the two Apps you want to link together. In the example below, we chose to add the new Field in the Projects App. The configuration of the new Field (named Tasks in this case) should be similar to the image above. 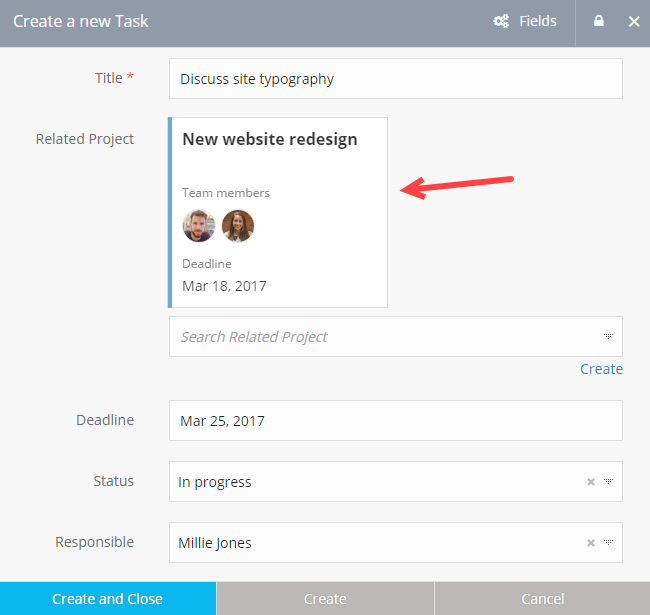 Based on the configuration above, a new Field named Related Project will be automatically added to the Tasks App. Now that there is a relationship between the two Apps, you can create a new task and link it to a related project. Multiple tasks can be related to the same project and vice versa. Records will be synced automatically when an App Relationship Field is used. 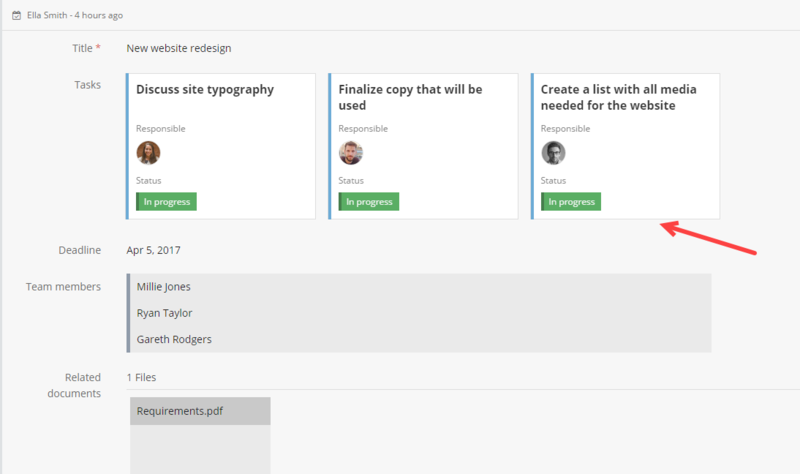 This means that if you navigate to the linked project, you will be able to see all of the related tasks.